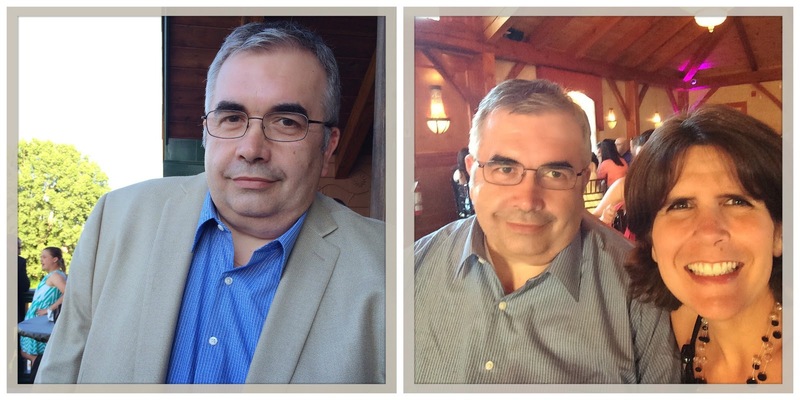 One of my favorite blogs is Found Love, Now What? written by Belinda, an American expat who packed up her life to live with her British love in Wales. 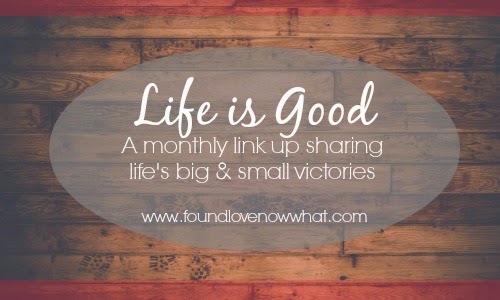 In addition to the wanderlust and Starbucks selfies, Belinda is now offering a fun new link-up that focuses on the positive...those small moments that make life grand. This sort of link-up is right up my alley. And received an iPad, completing the Apple trifecta...thank you, honey! School ended! Summer is here! I registered for my first travel conference. In September, I will attend TBEX North America to connect with hundreds of other travel writers and brands for a long weekend in Cancun. I am over-the-moon excited for this. We had the wonderful opportunity to spend time with cousins from Spain who arrived to pick up their son and nephew who spent the last school year in the Buffalo area studying English in an American high school exchange program. 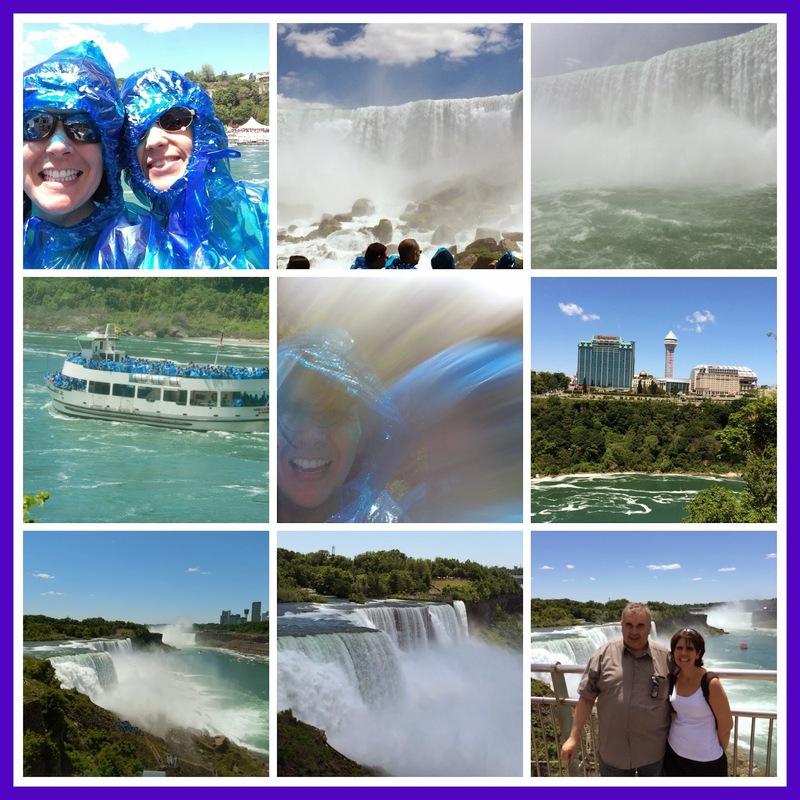 While in New York, we went to Niagara Falls and experienced Maid of the Mist. So much fun! I made a great white sangria to accompany my famous red sangria and I made a fabulous summer salad. And thoroughly enjoyed my first late Sunday night and later Monday morning of summer vacation. What "Life is Good" moments did you experience last month? Link up here. Of course, travel was a main reason life was good! Looks like you had fun, and congrats on the conference! Hi Kelly, looks like June was a 'lovely' month with much to appreciate. Here's to a fabulous July ahead! Thanks for sharing. Sounds like an excellent month indeed. And quite a nice conference, too. I need a professional conference like that! June was fabulous! Here's to a fabulous July, for all of us. :-) There are many conferences...it's picking the right one for you. Good luck!! Sounds like you had a wonderful month... I received and acer tablet for my June birthday and love it. What a great reminder to us to remember to focus on the small things and living our life! What a wonderful month you have had, the iPad is such a nice gift. My happy this past month was getting to take two mini-vacations. I really hope you enjoy TBEX. I've dreamed of going but my schedule never works out for it. Have a blast! Oh, and my life is good moments definitely centered around my birthday, too. That and the whole Maine trip, plus my best friend is living in the Hudson Valley now so it's wonderful getting to see her more often. You have so many fun and exciting adventures going on in your life too. I'm so happy to have connected with you. :-) Have a wonderful 4th.